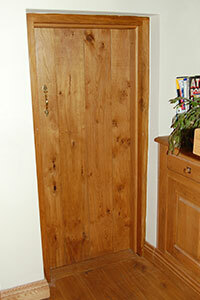 Aesthetically pleasing, solid oak is natural, sophisticated with an elegance of beauty and charm. Each piece of oak is unique and has.. 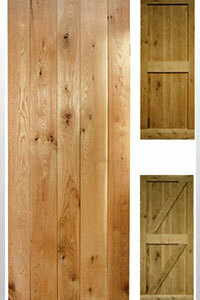 The Farmhouse solid oak door will complement old or new properties alike. Farmhouse solid oak ledge or ledge and braced which ever you preference..
interior whatever your project whether it be a modern development..
adapted to any style of home, be it a rural cottage, or a London Town house..
solution for your barn conversion or cottage, and because of the warmth..
Dovetail Joinery supplies high quality interior solid oak ledged oak doors and ledged and braced oak doors at reasonable prices. 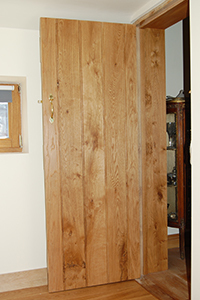 Our traditional joinery workshops based in the heart of the Midlands, offers you the chance to purchase British manufactured hand crafted European solid Oak ledged and ledge and Brace Doors, Oak doors, Cottage doors, Barn doors, Farmhouse Doors at excellent value for money. 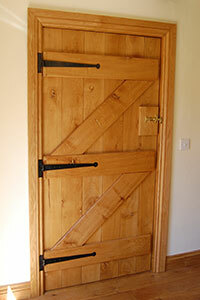 Aesthetically pleasing, solid oak ledged Cottage doors, Barn doors manufactured from certified sustainable oak give your home the elegance it deserves. 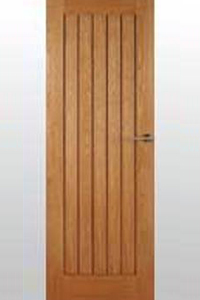 Solid oak is natural and sophisticated, we offer a choice of either V groove or beaded design. Let us add charm, elegance and beauty to your home with ledge Farmhouse, Barn, oak doors, as each oak door is completely unique and has a personality all of its own. 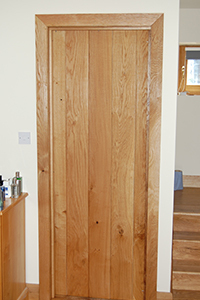 Whatever your project whether it be a barn conversation, new build or just replacement doors, solid oak ledge and brace doors are an ideal solution. 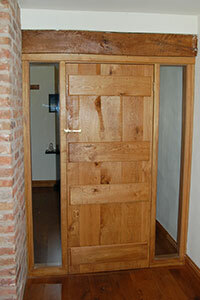 Dovetail joinery are a family run business where we combine Great British craftsmanship with excellent customer service. 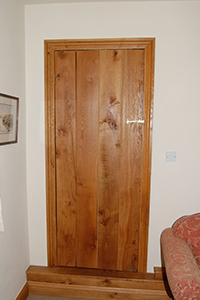 With over 35 years of knowledge in the Oak and Oak Joinery business our wealth of experience can make your purchase of solid oak ledge and ledge and brace doors both simple and pleasurable. 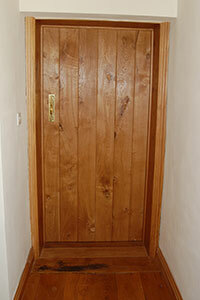 We also supply solid Oak Skirting and architrave, solid oak liners and latch blocks. We offer national next day delivery, or on a day to suit, 5 days a week. For the perfect finishing touch to your home, look no further than Dovetail Grange Farm Marketing Ltd.